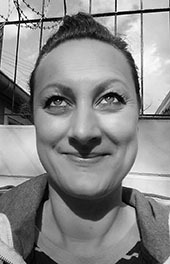 Nina Hoel is Associate Professor in Religion and Society at the Faculty of Theology, University of Oslo. She obtained her MA (2005) and PhD (2010) in Religious Studies from the University of Cape Town, South Africa. She has held postdoctoral positions in the Department of Religious Studies, University of Cape Town (2010-2012) and in the Department of Anthropology, University of KwaZulu-Natal (2013-2014). Nina’s scholarship focuses on contemporary Islamic sexual ethics and Islamic feminism, and feminist theory and methodology in the study of religion. – 2015. “Engaging Islamic Sexual Ethics: Intimacy, Pleasure and Sacrality.” Sexualities, 18 (1/2): 80-99. – 2013. “Feminism and Religion and the Politics of Location: Situating Islamic Feminism in South Africa.” Journal of Gender and Religion in Africa, 19(2): 73-89. – 2013. “Sexualising the Sacred, Sacralising Sexuality: An Analysis of Public Responses to Muslim Women’s Religious Leadership in the Context of a Cape Town Mosque.” Journal for the Study of Religion, 26(2): 25-41. – 2013. “Corporeal Bodies, Religious Lives, and ‘Women’s Rights’: Engaging Islamic Body Politics among Muslim women in South Africa.” Agenda: Empowering Women for Gender Equity, 27(4): 79-90. – 2013. “Embodying the Field: A Researcher’s Reflections on Power Dynamics, Positionality and the Nature of Research Relationships.” Fieldwork in Religion, 8(1): 27-49.